McCurdy & Co. Realty – stop in today! McCurdy & Co. Realty is a premier boutique Florida real estate company specializing in the Treasure Coast area on the east coast of Florida, including Martin, Saint Lucie and Indian River counties. 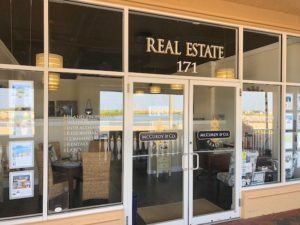 Located on the waterfront in beautiful downtown Fort Pierce, McCurdy & Co. Realty offers experienced and committed agents to serve all of your real estate needs. With over 30 years of experience helping clients buy and sell real estate on the Treasure Coast, McCurdy & Co. Realty is dedicated to offering top-notch, individualized service and market knowledge to our customers. McCurdy & Co. realtors specialize in waterfront properties, vacation homes, residential, commercial and land. Our expertise in this area is an invaluable asset to our clients. Call 772-242-8436 today, or stop by our office at 171 Melody Lane and begin your journey in paradise with McCurdy & Co. Realty.